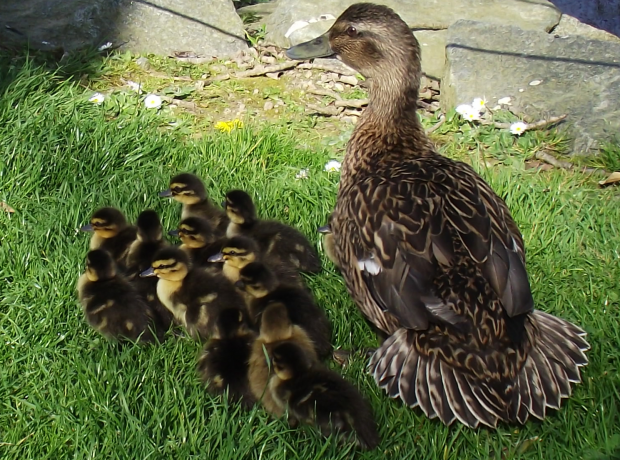 Yesterday GSPCA Ambulance Collection Officer Geoff George was called out to 9 stray ducks. All nine are a mixture of domestic breeds and were caught on St Claire's Hill. On arrival the birds were checked over and although fine in themselves were very hungry. 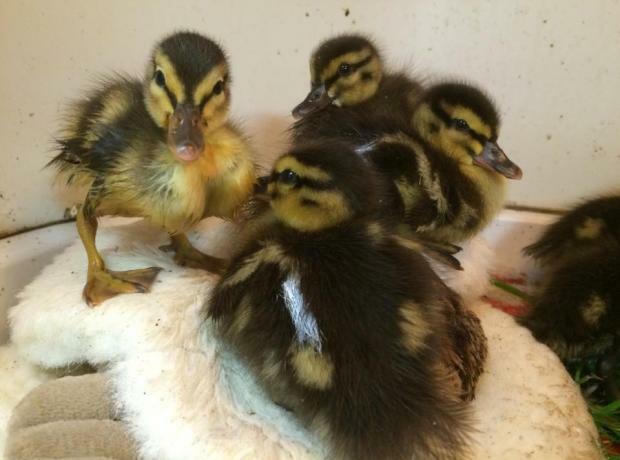 Yvonne Chauvel Senior Animal Care Assistant said "It's not every day we catch and take in 9 stray ducks in one go but the birds are all well and currently in one of our aviaries"
"We are appealing for the owner of the birds to please pop in or give us a call on 257261." 4 weeks ago an injured Common Scoter was brought into the GSPCA after being rescued in Beaucette Marina. Last week the GSPCA manned a stall at the West Show and got to talk to hundreds of visitors about the work at the Shelter. Lots of money was raised to help the hundreds of animals at the Shelter and fun was had by the many youngsters and adults a like that played the games we took along. Also many got to meet Bernard and the other Giant Animal Mascots we took along to promote the Animal Welfare Seafront Sunday Animal Mascot Race and Games on the 9th September.